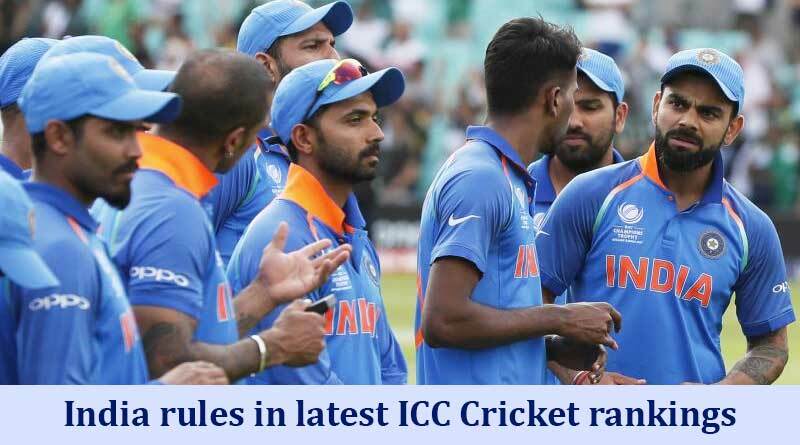 India ruled the roost in the ICC Cricket Rankings for the month of February as the topped both the one day and test charts on the back of solid performances against a tough South African side. South Africa and Australia make up the second and third spots in the ODI rankings with South Africa and England completing the top 3 test rankings. The rankings brought extra special news to the Indian contingent with captain Virat Kohli becoming only the second player in the world after AB de Villiers to cross the 900 point mark in both tests and one day. This only goes onto facilitate his claim as the best batsman in world cricket at the moment. Going hammer and tongs in the ODI format, the Indian skipper now has over 900 points in Tests as well as ODIs to stand atop the rankings in both formats of the game. Kohli scored 558 runs in the recently concluded six-match series against South Africa to add to his point tally. He is also third in the list of T20 batsmen and can move up if he performs well in the ongoing series against South Africa. Pacer Jasprit Bumrah accompanies his skipper as the best bowler in ODIs. He is accompanied by Afghanistan leg-spinner Rashid Khan who has become the joint-top bowler in ODI rankings. The highly rated spinner has also entered the top-five among all-rounders to justify the high price tag paid for him in the IPL auctions. For India opener Shikhar Dhawan, who aggregated 323 runs in the South Africa series, is another high mover in the latest rankings. The wrist-spin duo of Yuzvendra Chahal and Kuldeep Yadav were also gainers after troubling the Proteas in the ODI series.